"It was meant to be a sham treatment, but it was actually an active treatment." Researchers have revisited hyperbaric oxygen sessions as a possible treatment for brain damage sustained after a concussion. According to a report compiled for Congress by the Centers for Disease Control (CDC), in a single year, approximately 2.2 million emergency room visits were for traumatic brain injuries (TBI). The majority of these injuries are considered mild and are commonly called concussions. 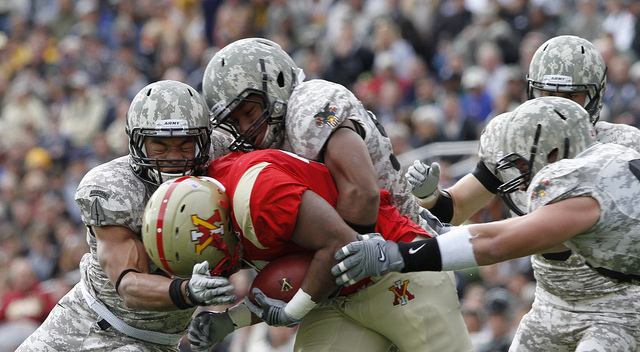 These injuries are common in contact sports and in soldiers. Most individuals who suffer a concussion are able to heal back to normal brain activity, yet up to five percent of sufferers can experience long-term symptoms. This is called post-concussion syndrome and it can manifest with headaches, mood changes, and other cognitive problems. The symptoms are caused by damage to blood vessels in the brain, making it more difficult for the organ to receive adequate oxygen. A study published in 2013 showed that treating post-concussion syndrome patients with pure oxygen significantly improved cognitive function and quality of life for participants. Research conducted by a team at Tel-Aviv University in Israel, which was published in the journal Frontiers in Human Neuroscience, shows exactly how this treatment heals the brain. Shai Efrati, the lead researcher explained that “Once the extra oxygen diffuses into damaged areas, it supplies energy and the regenerative process can happen.” The extra oxygen helped to regrow blood vessels and nerve fibers. This treatment was previously tested in 2015 by researchers at the University of Utah. They concluded that the treatment was not effective. However, their conclusions were based on a faulty interpretation of their supposed “sham” treatment. The researchers subjected a group of participants to a pressurized chamber with normal levels of oxygen. These patients also showed improved cognitive function, so the researchers concluded that the treatment was no more effective than breathing normally. However, the researchers did not account for the higher pressure actually allowing more oxygen to enter the brain, thus performing along the same lines as the patients who were actually receiving the active treatment. “It was meant to be a sham treatment, but it was actually an active treatment,” says Efrati. Using hyperbaric oxygen treatments for post-concussion syndrome still needs to be approved by the FDA. More research is needed to confirm its safety and efficacy. However, should the treatment prevail, it will be the first to tackle the underlying causes of the syndrome, as opposed to treating individual symptoms.